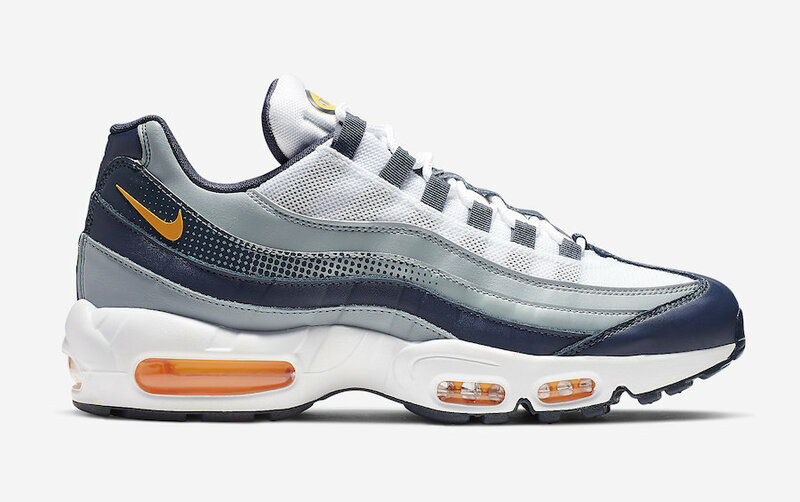 Nike is brighiting up its successul Air Max 95 sihlouette by adding an Orange touch. This design is coming dressed in a mix of a Midnight Navy, Laser Orange, and white color option. 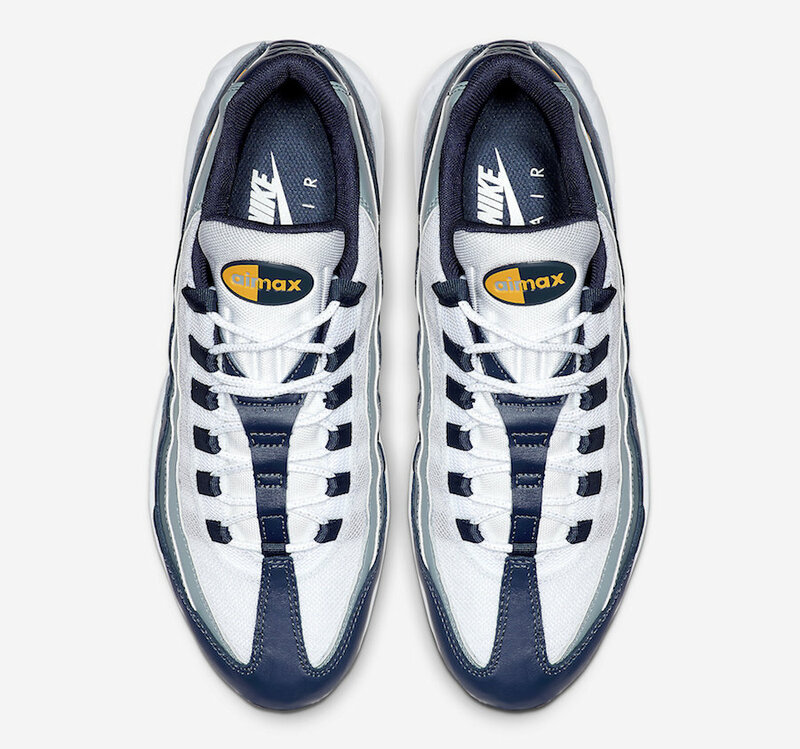 It features a clean white mesh upper, while a navy and white leather covers the side panels. A unique dot pattern is seen on the panels. 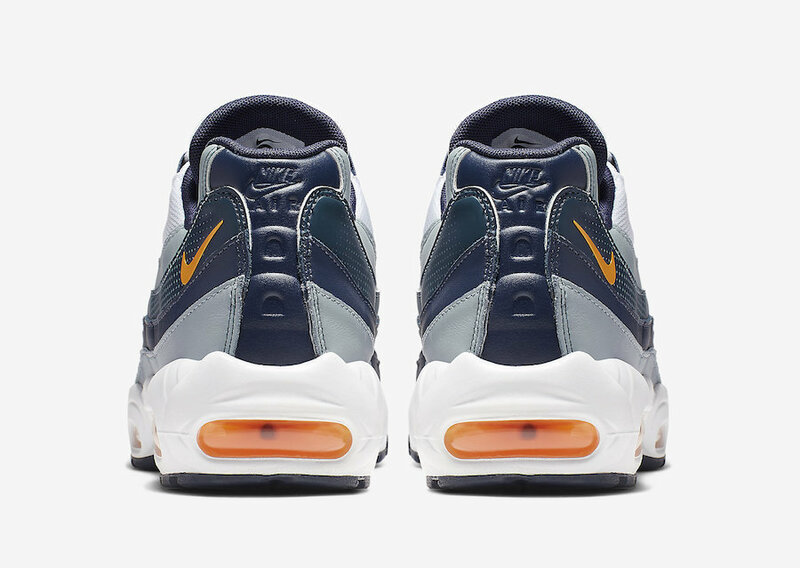 The fresh touch of Laser Orange hits the Swoosh logos and the Air Max Unit. 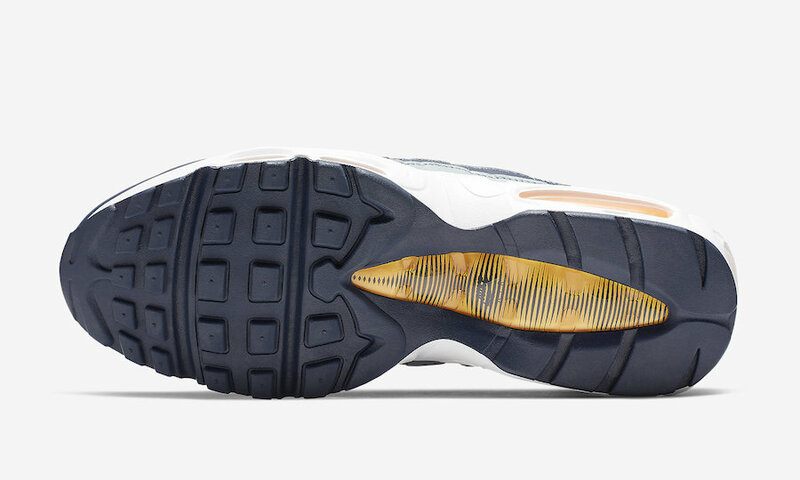 A clean white midsole finishes off this design. 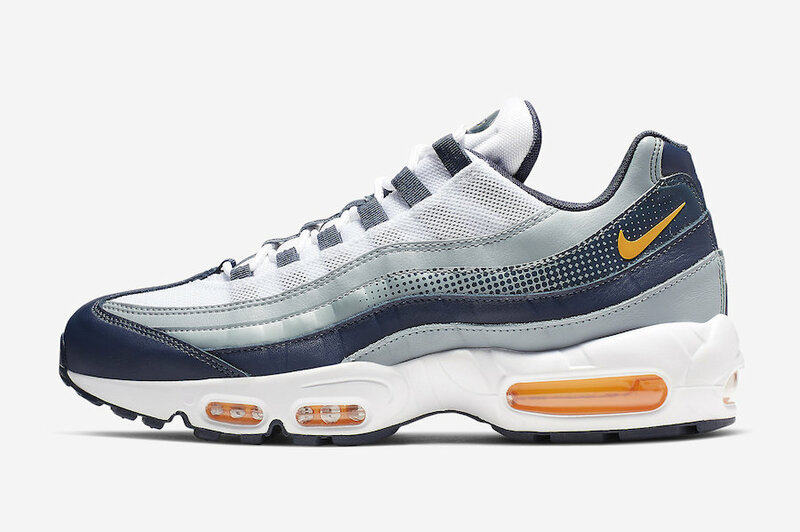 Expect to see this Nike Air Max 95 to arrive in the coming weeks at select retailers and on Nike Store Online. 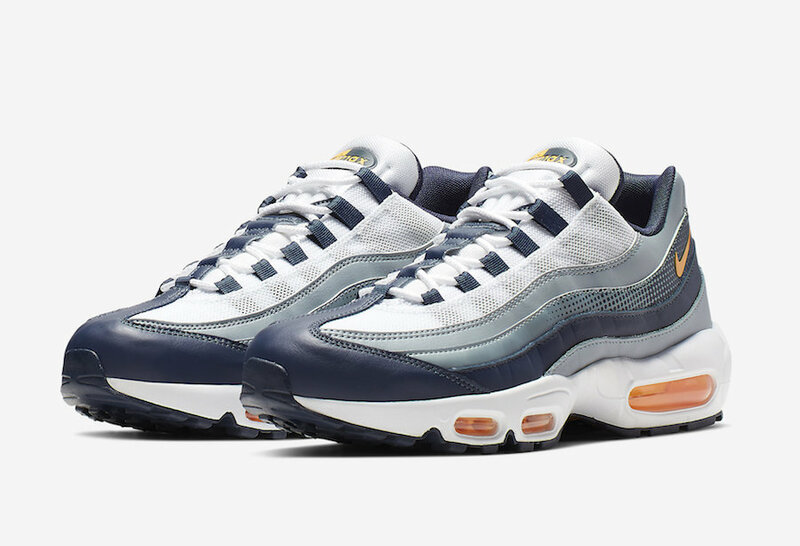 Check out more detailed images and grab a pair for yourself, retailing for $160 USD.